Many small to medium sized businesses underestimate the power of communication and how it can affect operations and customer satisfaction. As a business expands, the growing workforce and customer base needs more organized and sophisticated methods of communication in order to be more productive, improve customer satisfaction, and even save money. Cisco, the worldwide leader in IT and networking, developed the Cisco Unified Contact Center Express (UCCX) in order to improve communications between businesses and the consumers. UCCX delivers a highly secure, virtual, and sophisticated customer interaction management solution for up to 400 agents. Intended for both formal and informal contact centers in mid-market, enterprise branch, and corporate departments. Your office manager can only mitigate so many calls, and if business is booming, it can take a lot of time out of their day. Not to mention human error is always a liability. With UCCX, you can automate that process, so calls are being forwarded to the right people and your office manager can focus on actually managing the office. Productivity truly skyrockets when all of your tools are working together, helping your employees stay on top of things and making them more accountable. With unified communications, all of your communication modes are connected and speaking with each other (work and mobile phones, email, instant messenger, video conferencing system, etc.) And with custom designed workflows, your agents can improve service and reduce call times. Investing in a unified contact center is not only good for your internal operations, it improves customer satisfaction, loyalty, and your overall company image. Imagine the frustration of a customer that has been forwarded over five or more times before they can speak to the right person to address their problem. When time is money and both your employees and customers are wasting time on the phone with the wrong people, it can lead to significant losses. 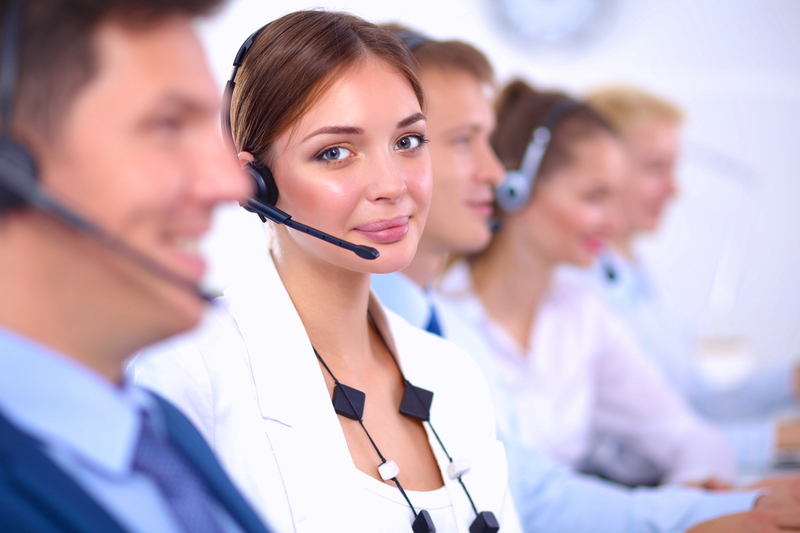 IVR's are another great tool for businesses to route callers to the right departments. With UCCX, integrated IVR's can be customized and programmed to interact with your customer even before they reach a live person. These can be as simple or complex as they need to be and you might even solve the customer's problem (self-service technology) before they can reach a live rep.
Back by Cisco trusted technology, UCCX delivers each of your contacts to the right agent the first time. It enables this accuracy with sophisticated business rules for inbound and outbound voice, email, web chat, and customer interaction management. UCCX also offers numerous agent and desktop services and can scale to larger, more demanding environments. Home agents use the Cisco Unified Communications Manager to extend and connect functions to their own remote device. With an easy-to-deploy, easy-to-use, all-in-one solution, not only will you boost agent efficiency and improve customer loyalty, you will save significantly by reducing costs. Cisco Unified Intelligence Center provides historical, Live data and dashboards, giving visibility to decision makers who can make cost saving decisions. Interested in adding UCCX to your hosted phone system? Let's talk! Aria Hosted fully integrates with all Cisco products and we have years of engineering experience to get you set up. Based on our current clients, we know that this is a solution that has helped growing businesses drastically improve customer relations as well as tighten operational efficiencies. Ask us for a free demo on Cisco UCCX today to see if it is right for you.